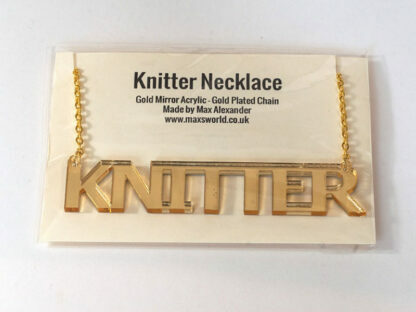 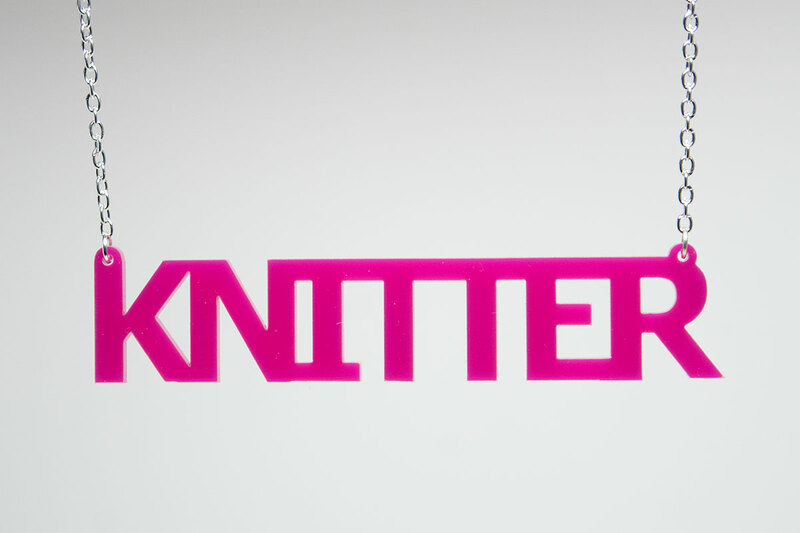 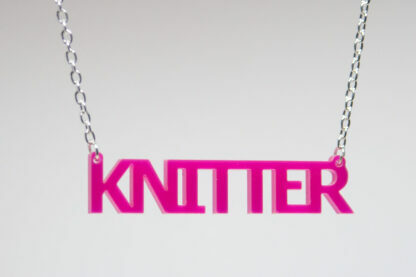 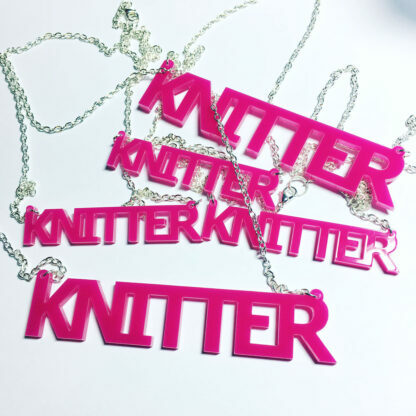 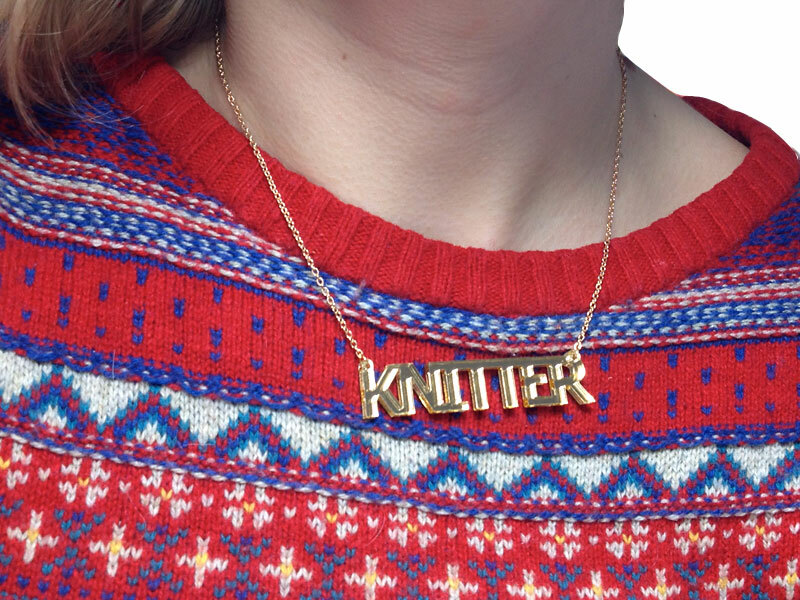 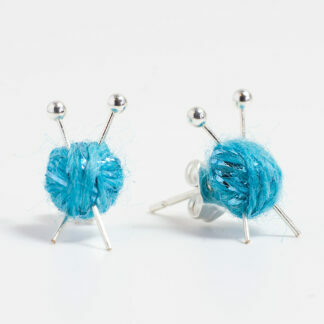 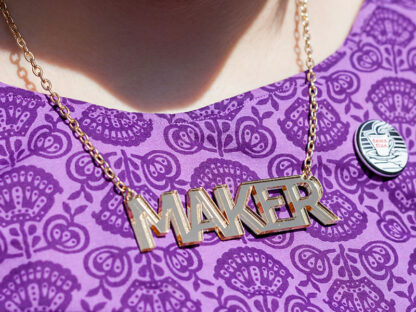 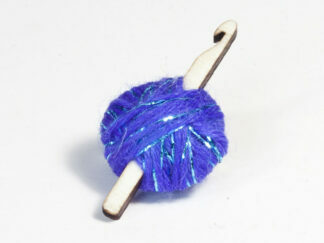 Shout out your knitting love with these new necklaces! 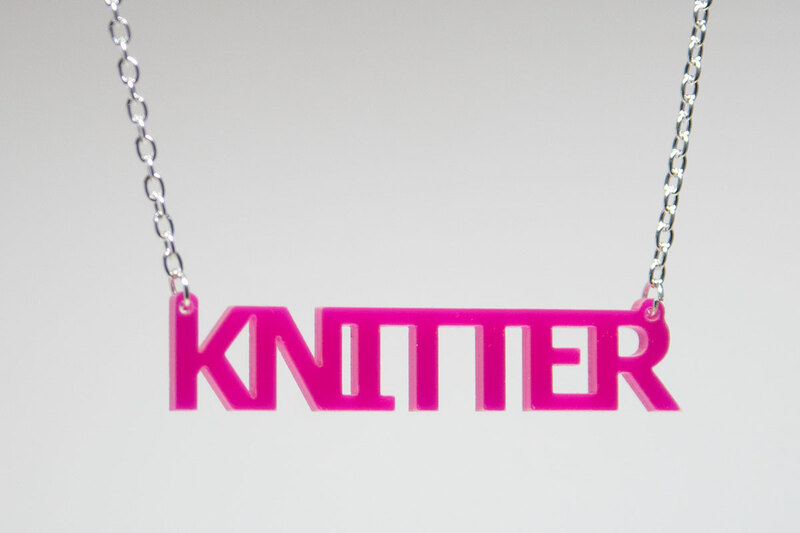 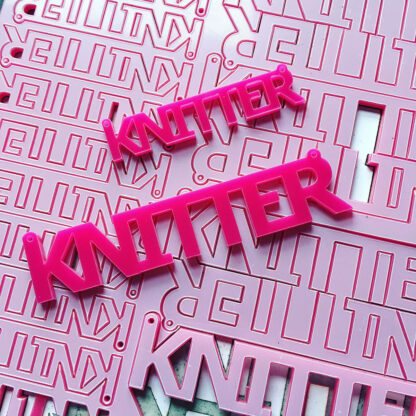 Laser cut from pink acrylic, you're sure to stand out with one of these around your neck. 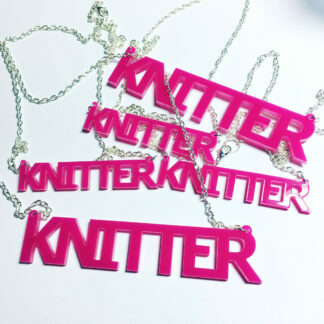 These are laser cut in shiny pink acrylic and hang on a silver plated chain.